Just released - What’s New in Parallels Desktop 14 for Mac! 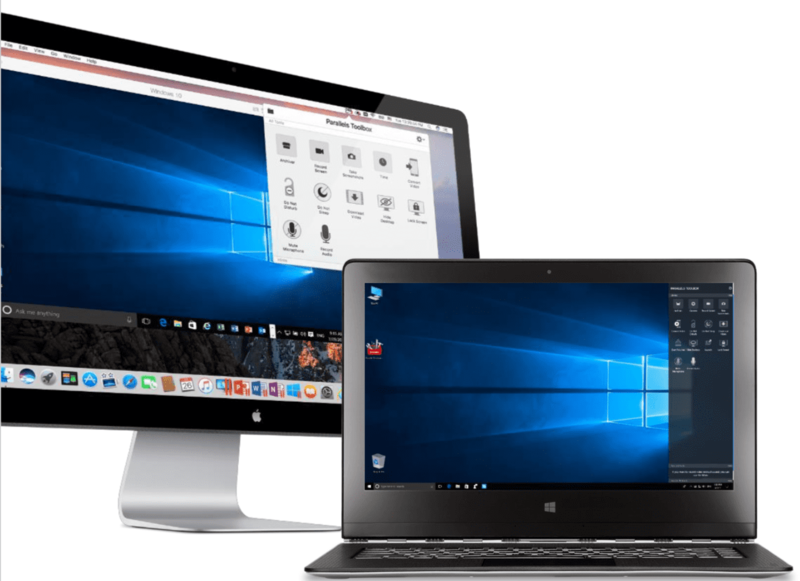 With Parallels Desktop, you can run Windows, Linux, and other popular operating systems on your Mac® without rebooting. For over 12 years, we’ve been the #1 solution for over 5 million users worldwide. Curious about the new features? Let’s take a look. Parallels Desktop 14 will be ready for the macOS Mojave release as a host and guest OS, and right now the beta version of macOS Mojave can be tested in Parallels Desktop 13 and 14. The new version is integrated with Parallels Desktop. It will support Dark Mode in Parallels Desktop windows, and the enhanced Quick Look and screenshot features can be used within Windows applications. Camera continuity also imports pictures from iOS 12 into Windows applications, plus many more features. As soon as the new Microsoft Update is released, it will also be supported in a virtual machine in Parallels Desktop 14. Typically, virtual machines are large, taking anywhere from 15–100 GBs of space or more. 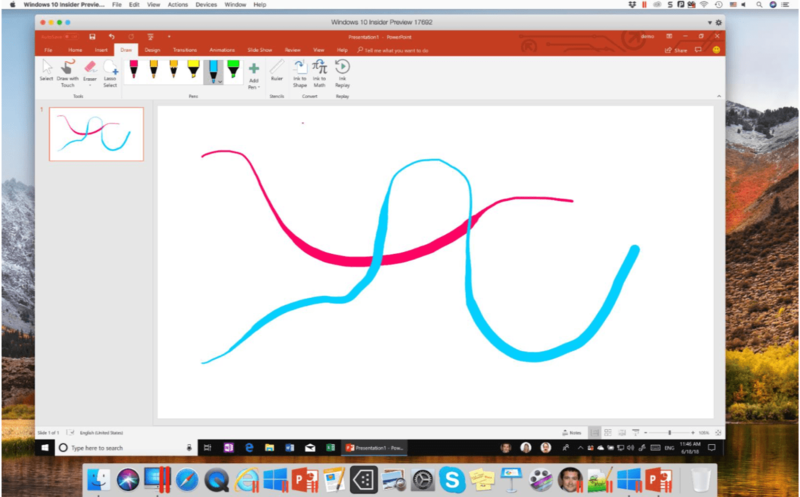 Parallels Desktop 14 now enables customers to use Microsoft Ink to edit Microsoft Office for Windows documents on a Mac, including pressure-sensitive support in applications such as PowerPoint, Microsoft Edge, CorelDRAW, Fresh Paint, Leonardo, openCanvas, and Photoshop for Windows. In Version 13, we first introduced the possibility to configure all Windows applications with the MacBook Pro® Touch Bar. In version 14, we’ve added preconfigured Touch Bar sets for the following applications: Microsoft Visio and OneNote, SketchUp, AutoCAD, Revit, Quicken, QuickBooks, and Visual Studio. What should you do if you want to configure a Windows application that is not preconfigured by Parallels? Don’t worry—with the Parallels Desktop Touch Bar Wizard or the Touch Bar XML Authoring, you can configure any Windows application you want. Figure 4_Enables users to further customize Touch Bar support for their favorite Windows applications. Improved OpenGL support for enhanced graphics, with notable improvements in SketchUp 2017/2018, CTVox, DIALux 8, and OriginLab. Unused virtual video memory is now effectively returned to Mac system memory. Auto mode for graphics allows Windows to use more than 2 GB of Mac system memory for video purposes, while allowing Windows 8 and 10 applications to use it when possible. Every year, Parallels Desktop becomes faster and stronger. This also happened this year. In all editions of Parallels Desktop 14, users get more than 30+ single-click utilities from Parallels® Toolbox for Windows and Mac (for one year). Check out all the recently released features in Parallels Toolbox here. Figure 5_Parallels Toolbox for Windows and Mac is included with Parallels Desktop 14. Administrators can invite users via email and assign separate administrators for sublicenses for improved efficiency. The Parallels My Account portal has been redesigned to be optimized for popular use cases. …are an existing customer, upgrade now here. …are a new customer, purchase your copy here—or test it for 14 days for free. …have just recently purchased Parallels Desktop 13, check out our Tech Guarantee to see if you get a free upgrade. We would love to hear your feedback. Stay connected with Parallels and our online communities. Like us on Facebook or follow us on Twitter.